Originating in Japan, this ancient breed was utilized as a hunting dog of wild boar and deer. The Kai is rare and difficult to obtain. Previously considered too primitive to function as a family pet, they have proven to be amiable companions. They were designated as a "natural monument" in Japan in 1934. The Kai is of medium size, powerful, and muscular. A sturdy, exceptionally courageous breed, they move with agile, quick trot that enables them to maneuver rapidly over mountains and through forests. Kai's are also adept at climbing trees. Their most distinctive feature is the brindled coat. They are often referred to as the "Tora (tiger) Dog". 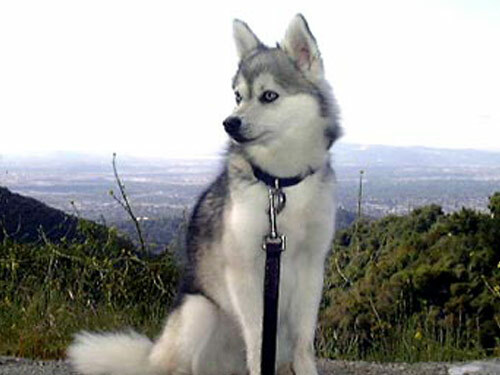 The Kai breed is extremely devoted, affectionate, and loyal. The Kai is reserved with strangers and is a trustworthy guardian. They do will with children and dogs they have been raised with. Due to their high prey drive they are not recommended for homes with non-canine pets. They typically form a close attachment to one family member. They are naturally calm, quiet, and clean indoors. Kai's are not recommended for first time or inexperienced dog owners. Kai's require weekly brushing to keep the coat free of matting. Bathing should be done as needed. It is important to regularly clean the ears and nails should be trimmed on a routine basis. Due to the rarity of this breed there are no known health issues. The Kai is a double coat breed. The outer coat is medium to long in length, straight, and harsh. The under coat is dense, thick, and soft. The fur is shorter on the ears, head, and legs. It is longer on the body and tail. Puppies are born black with fuzzy coats and the brindle emerges as the adult coat comes in. The brindle markings may not be fully apparent until adulthood. The Kai is exceedingly dominant and headstrong. Early, ongoing, and intense socialization and obedience is an absolute must. They will resent and not respond to harsh or heavy-handed methods. Training must be done with firmness, fairness, patience, and consistency. The Kai breed is not recommended for city or apartment living. They require an inordinate amount of physical exercise and mental stimulation. The Kai does best in a rural setting with ample room to safely roam, hunt, and run.